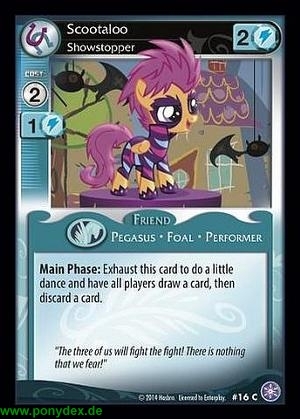 Exhaust this card to do a little dance and have all players draw a card, then discard a card. "The three of us will fight the fight! There is nothing that we fear!"